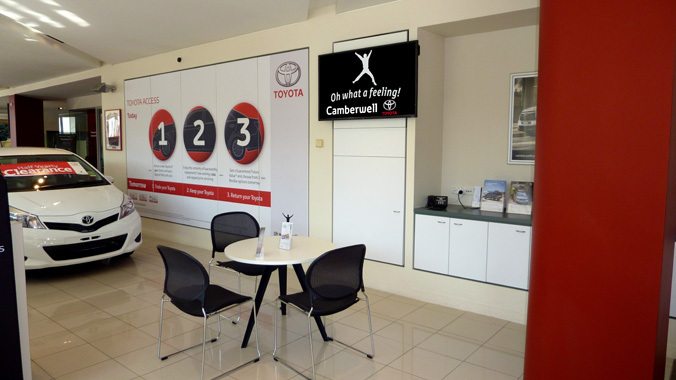 Camberwell Toyota engaged Crystal Clear to install and manage dual 55” NEC digital screens for their main showroom. 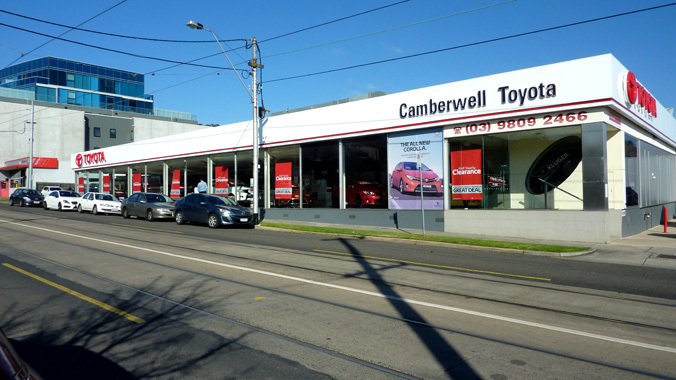 Content is managed via Crystal Clears managed service, offering Camberwell Toyota a fully managed digital program consisting of Toyota factory deals, dealer specific promotions and cross pollination of the finance, service and aftermarket departments. 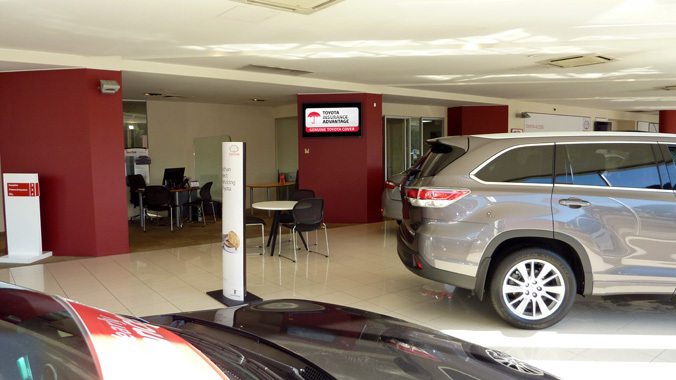 The iPAD integration feature allows Camberwell Toyota sales staff to utilise the screens as a selling tool enabling them to deep dive into areas such as vehicle colours, accessories and informative videos. 24/7 advertising LED screen designed to target passing traffic promoting sales events, promotions, product launches, etc. 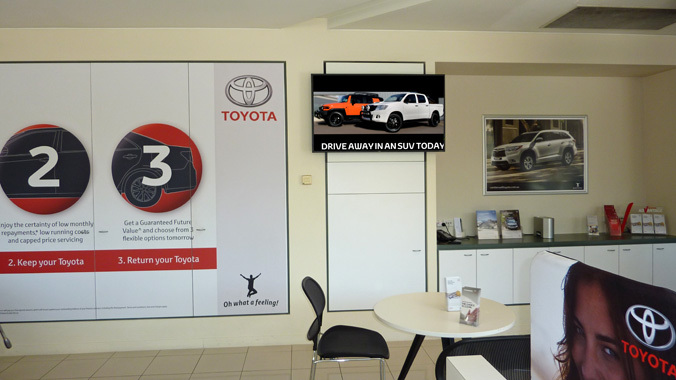 Ideal for showrooms and retail outlets that have great exposure to passing traffic. All content is managed and updated by Crystal Clear as instructed by the customer. Content is updated regularly providing speed to market with your promotions therefore keeping one step ahead of your competitors. This solution has great impact during the night time as opposed to poster / print. Short and Long term hire periods available.